no doubt all server owners taking this advantage to make some businesses and win some cash $$ , well it's not a bad thing but since SRO community is based on donation " as they say " for keeping server alive , then yes sometimes you have to take the risk by paying a money in a virtual online game as a business , what I want to expose here is , I'm not pretending that our server is " THE ONE " that everyone will LOVE , but since our team is on this development career for a long time ( About 6 years ) , they faced a hundred of servers with different systems. we came up with the most loved systems that everyone would like to practice in! , and about the silk, it isn't free right! but we've added too many methods to get it! not just donate, also, our developer has enough experiences to add many systems like any server you saw before , but we managed to make a simple game-play so you don't feel like you're playing in a maze. Another thing, our server isn't a 2 or a 3 weeks server that you can get full gear etc.. and then boom! nothing to do , we made a challenge for everyone to complete our goals in the server , let's take a look now! We determined to make a bugless server that everyone would enjoy playing in , so in that case we decided to make a beta ( 3 days test ) just to make sure that everything is working perfectly and avoid restarting / updates in the Release date. and to make it up to you! we will reward our special ( Beta test ) players with a certain amount of silk after releasing the grand opening. so if you want to practice in this Phase please write your (IGN) above in a comment. We will announce the exact hour of opening the server after finishing the beta test. ●Added teleports in Jangan to cave ( B1 - B2 -B3 - B4 ) to make it easier for you to go to your grind spot. 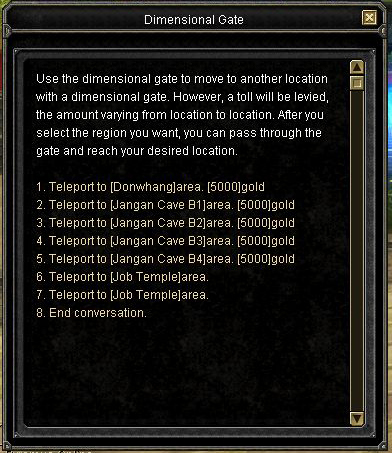 ●Added Holy water temple teleport in Jangan , also to make it easier to hunt the Egy Uniques. ●Decreased mobs / uniques Physical & Magical Defence . ●Decreased ( Job cave - Holy water temple - Medusa - Roc ) HP, you don't need 3 hours to kill just 1 unique , its pretty cool now. ●Silk per hour system , also the more you're online , the more you get free silk! ●You can find sos items +7 with int , str at npc! for the same price of the normal items. ●We changed the beginner quests that was giving you ( 100%-150% exp scrolls ) and we added Reverse scrolls instead , also, we changed the sos weapons to SUN, to help you at your grinding. 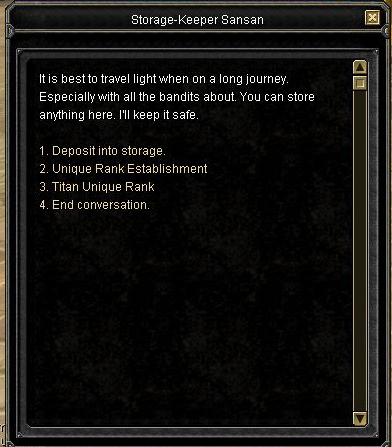 [U]Based on our experiences on many servers , we've chosen to add some useful scrolls that will definitely help you a lot in the game. Since there are different kinds of premiums in the server , we managed to add this scroll so you don't have to wait 28 days or less to finish your premium time. this scroll will help you to remove your premium so easily with just 1 mouse click. Many players love to change their build once a while , so this scroll will help you to reset your stat point! 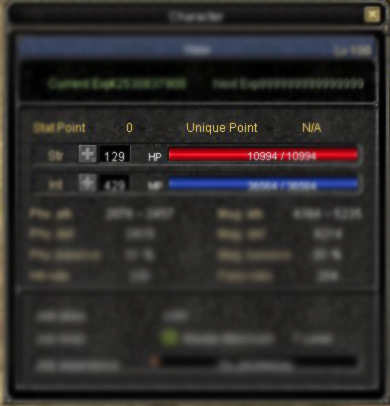 its easy to change your character build now..
Also, you can't just reset your stat point right ? 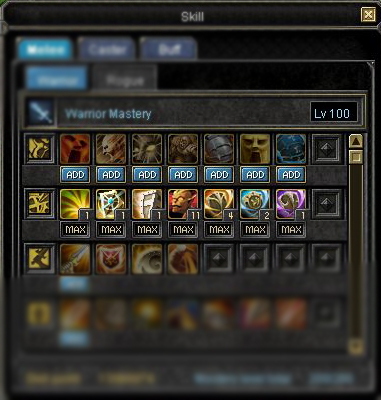 you need to change mastery build right xD , this scroll will reset your mastery level to 0 and it will give you enough Skill point. Some players got sick or had problems with others so they want start-over with new Nick , you don't have to make another char and miss your premium or devil that you used on your char or even re-level up it ugh... pretty sux right xD , all you have to do is use this scroll then restart your char, and you will be able to create a new name. one of the most helpful scrolls that it's already been working on many released server , is this silk scroll , it allows you to transfer your silk from account to another so easy , and we added different amounts ( 50 , 100 , 250 , 500 , 1000 ) with no extra charge. this system is what i asked the developer to make with passion xD , i love this system and i will explain now how it works and what it gives. First what is the awaken system? You need 4 kinds of Elements + 1 Tablet .you can change them to a stone right? How can i get those different Elements ? 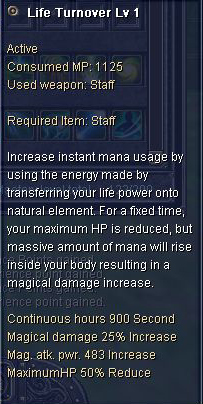 You can get this Element from Holy water temple uniques , each unique drop min = 10 , max = 20. and you can enter the temple twice per day. 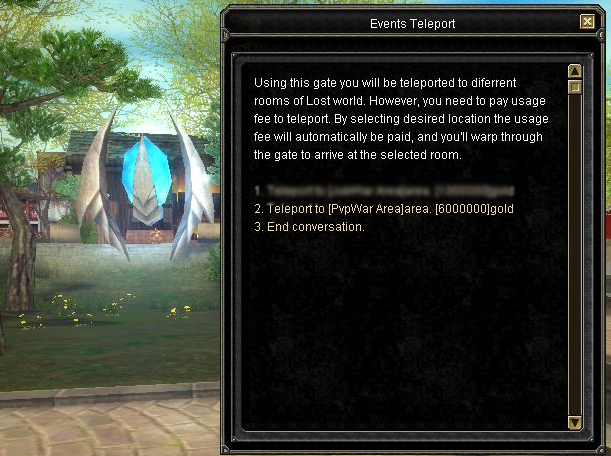 and to make it easier for you , we changed the holy water temple teleport to Jangan instead of Alexandria , CAUTION! you can only enter the Holy Water Temple at Level ( 100 ). You can get this Element from job cave mobs ( all mobs ) drop rate is 0.1% , so its like every 100 mob will drop 10 Elements which isn't bad. CAUTION! you can only enter the Job Cave at Level ( 100 ). 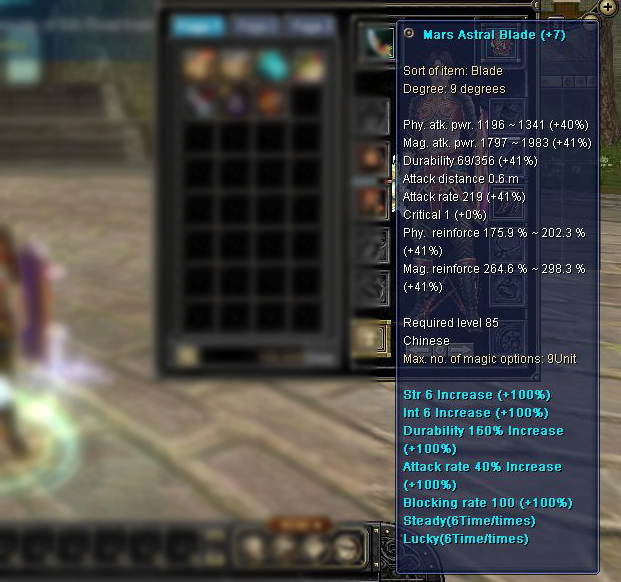 You can buy it from our special NPC at Jangan & Hotan , each one will cost you 200m. You can get this scroll only from ( Forgotten world ) Quest , we changed the reward of completing the Degree 10 collection books , now after collecting them you will get this ( Upgrade scroll tablet ) and since FGW is disabled , you can get (Talismans ) only by killing Job cave uniques , drop rate is 100% for all books , every unique may drop ( 1 ~ 2 ) talismans. Right click on the scroll (it will teleport you ) and after teleporting , you will find out that your item has been changed to ( MOON ). This automatic rank system will register every single unique kill and it will give point to the killer , every 6 hours it will choose top 5 unique killers and it will reward them with ( Silk ) , dear players; may you sharpen your knives? Really , one of the most helpful systems that have been created by VSRO community , this system will help you to get automatic new level gear / weapon with full blue just by teleporting or restarting your char. 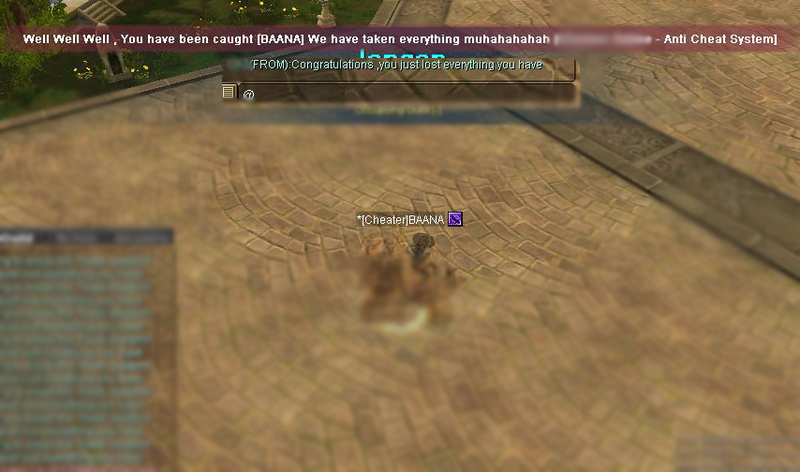 No doubt none wants to play a server with a mass bugs and exploits , we made this anti cheat system to punish everyone tries to be smartass , its not just punishment , it will expose him with a notice so everyone would know who is this player , also, it will delete your ( Elements - silk ) as a punishment. [U]Also to make it easy for you to check and keep up with updates , we added some useful features in the website for our players such as. We didn't decide yet but we added for now ( Premium & Grab pet Extension ) but keep in mind that if we reached a decent amount of players on the first release date , we going to increase the amount of winning players. When you teleport to the ( Job Area ) you have to equip your job cape first , then start killing everyone in the arena , you can only kill every player just 3 times , you will gain ( 1 Silk ) per each kill. the more players enter , the more silk you can get. player kill limit during the event is ( 200 kill ) you won't get silk after that limit. Tab 3 - Global chat , Prem & Others.. So how to get silk ? So how to get Arena Coins ? ●We made it pretty simple in order to give you delightful time while playing our game. ●We thought that we've to make some challenges by changing the drops of the Titan uniques to arena coins. Samarkand mobs have been replaced with 99 level mobs. Vigor has been decreased to 20% instead of 25% and vigor's stack has been increased to 250. Str Uniques has been added and they drop immortal and astral. Stats bug has been fixed. 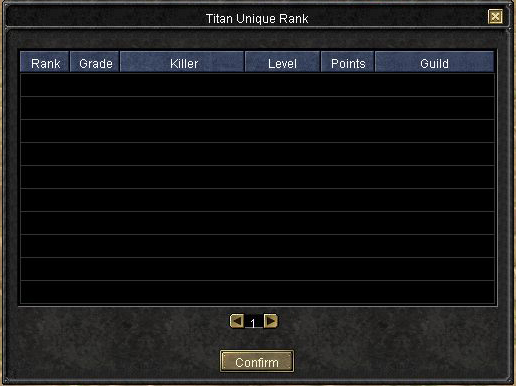 Guild emblem is working fine now. Stones drop rate has increased. 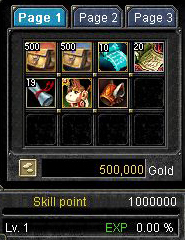 Potion stack now is 1k! ROBLOX is powered by a growing community of more than 300,000 creator players who provide an infinite variety of highly immersive experiences. These experiences range from 3D multiplayer games and competitions, to interactive adventures where players can take on new avatars to discover what it would be like to be a dinosaur, a miner working a mine or an astronaut on a space exploration.